It’s Almost Time for the Annual Rose Parade! One of the great things about the New Year is the Rose Parade. This annual parade is a beautiful tradition that is broadcast live across the country for everyone to see. 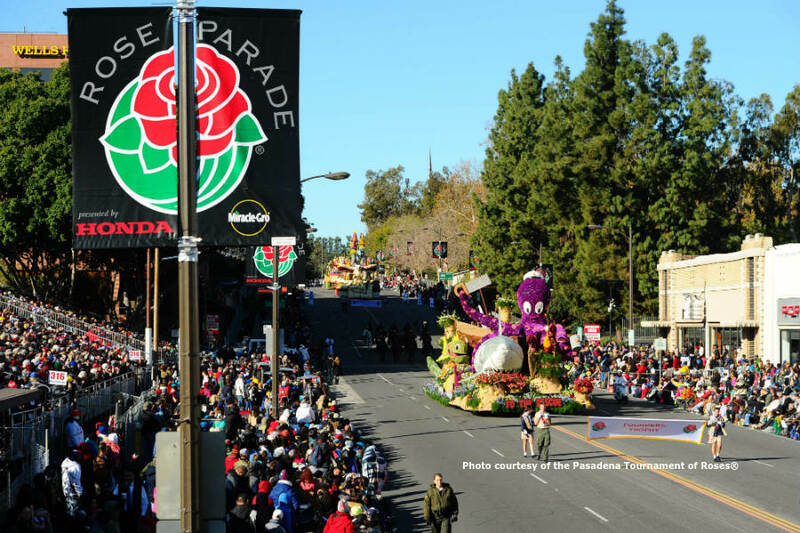 Taking place in sunny Pasadena, California, the Rose Parade is always on January 1st of every year. While you and your family can camp out on the sidewalk for a right spot for Rose Parade float viewing, tickets are also available to purchase so you can see the parade from the grandstands. Tickets are now on sale if you wish to join in on the fun. The 127th Tournament of Roses is a beloved tradition by the community members of Los Angeles. All of the floats taking place in the parade are decorated from flowers and other natural sources such as seeds. Many cities throughout Los Angeles sponsor a show as well as high schools from around the area. Other than floats, the parade will also have marching bands, equestrian teams and more. The parade has been sponsored by Honda since 2011. Each year the Rose Parade begins promptly at 8 am. The parade will travel for 5 ½ miles down Colorado Blvd. Reserved tickets to sit on the grandstands are now available. These seats will provide you with the best view of the parade! If you are interested in purchasing these tickets, you can visit the Sharp Seating Company, which is the official Grandstand seating provider. Tickets for this event can be obtained from now until December 31st. Every person in the grandstands must have a ticket except for children under the age of two years old if the child will sit on a caregiver’s lap. If the child sits on a seat, they must also have a ticket. This event is a fun activity for friends and family alike so be sure to come down to the parade for the New Year! Visit www.tournamentofroses.com for more information.